Officer appears to make fun of amputee in video. The mayor of Santa Ana is named in a lawsuit which alleges the city was clawing in money from bribes in return for guaranteeing a licence to distribute marijuana. 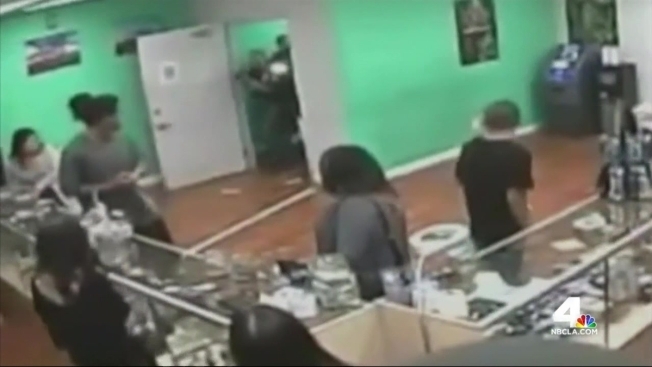 It comes nearly three weeks after the raid of pot shop Sky High Holistic was caught on surveillance video that appeared to show questionable behavior by 10 officers. Santa Ana mayor Miguel Pulido was named in the suit along with city employee Yvette Aguilar and the city itself. It alleges the city solicited $25,000 payments and gifts from marijuana dispensaries which would guarantee businesses would be granted a license in a lottery system. It also claims police were used to shut down operations that did not pay up. "It's deplorable that city officials and people seeking financial gain would use the police to accomplish their self-serving goals, " attorney Matthew Pappas, who is representing the raided shop, said. The city of Santa Ana was slapped with several lawsuits in the wake of a police raid at a pot shop that was caught on surveillance video. Hetty Chang reports for the NBC4 News at 4 p.m. on Monday, June 15, 2015. However Pulido has fired back, saying the claims in the suit are "catagorically and unequivocally... false." 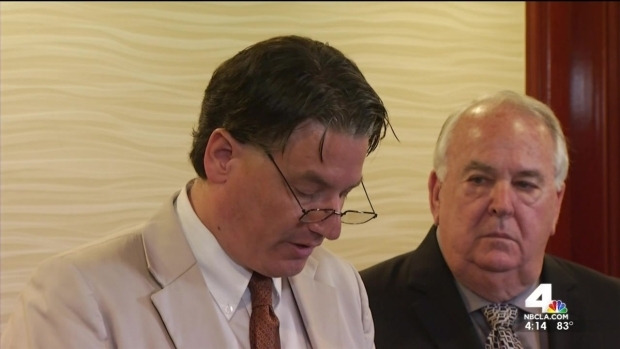 "There is no money, there is no influencing any process in any manner I think (Pappas) is trying to protect his client and trying to just keep operating illegally. Sometimes the best defense is offense," Pulido added. In surveillance video received by nonprofit group Voice of OC and captured on May 27, three loud bangs can be heard before at least eight officials enter through double doors with guns drawn at Sky High medical marijuana dispensary. The officers appeared to proceed to another door where patrons were and began yelling, "everybody on the ground, hands over your head." At one point, Marla James, who is wheelchair bound with an amputated leg, was escorted out of the shop by a female officer. The same officer is later heard on the profanity-laced edited video saying she wanted to kick her in the "nub." At least two of the officers wore ski masks and several of them dismantled surveillance videos and a DVR in the store. After most of the cameras were taken down, an officer played darts while others joked around and at least one allegedly ate marijuana-laced edible products from the shop. Santa Ana Police Department said all the officers will be interviewed as part of an internal investigation. Commander Chris Revere said he is "concerned" about what the behavior demonstrated in the video. Santa Ana Police Chief Carlos Rojas says he wants to see the entire video detailing what his officers did while inside Sky High Holistic May 26. Vikki Vargas reports for the NBC4 News at 6 p.m. on Friday, June 12, 2015.